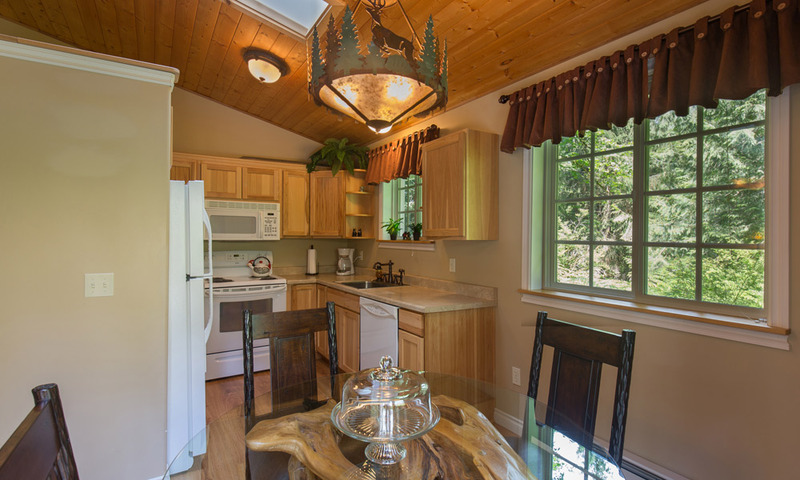 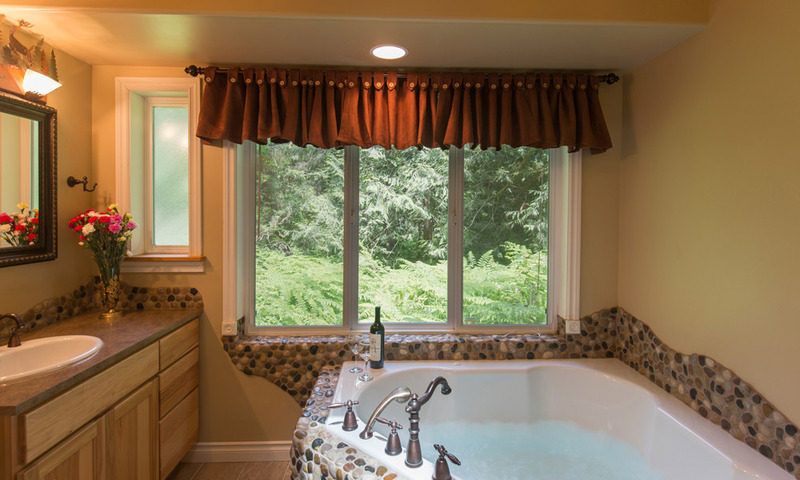 The Woodland Retreat Cottage features Pacific Northwest woodsy décor. 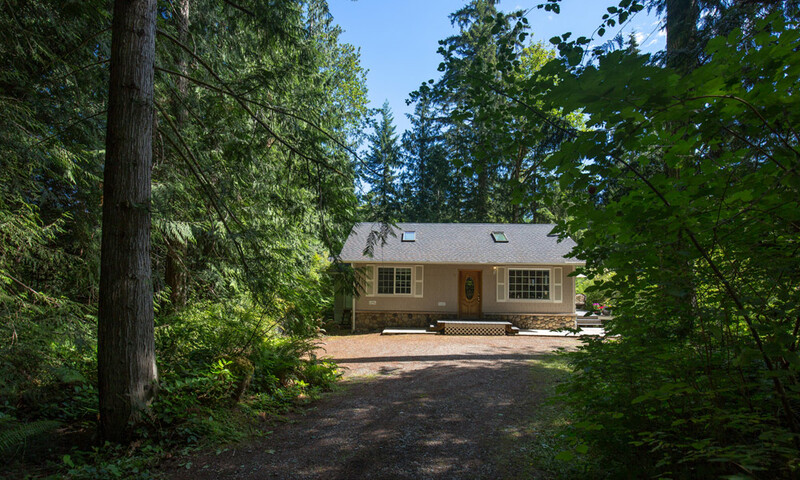 The cottage has a living room with satellite big screen TV, DVD and CD player, fireplace, full kitchen with dining area, and French doors leading to private deck with Bar-B-Q. 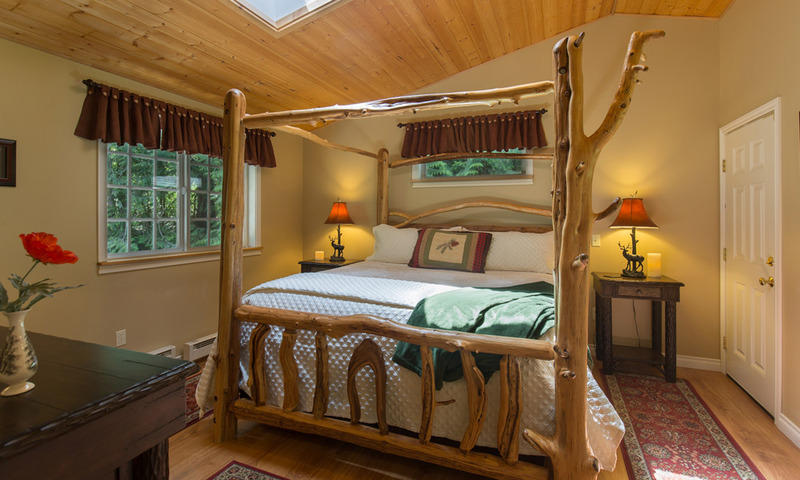 Bedroom with king size bed, sofa sleeper in living room, skylights in every room, and bathroom with two person whirlpool Jacuzzi tub and separate shower. 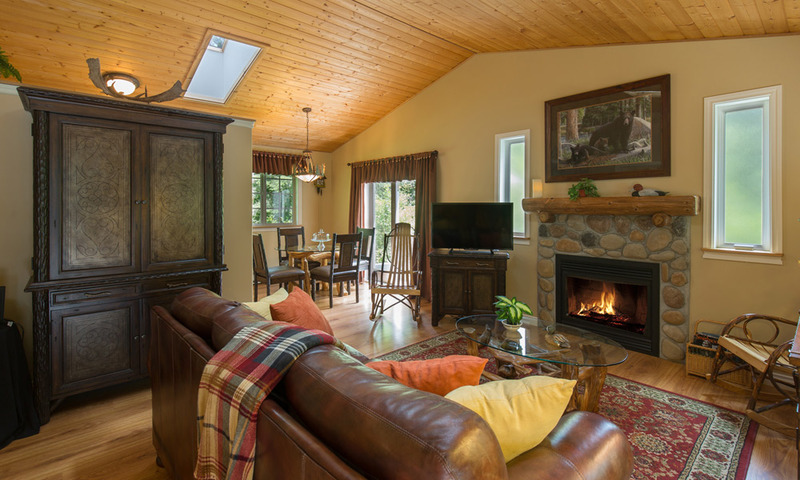 Free Wi Fi in cottage.